One of the most interesting trends in the sporting industry is the surge of digital technology. We are seeing digital enabled rangefinders, binoculars, rifle scopes, dog trackers, and now digital coaching trainers. 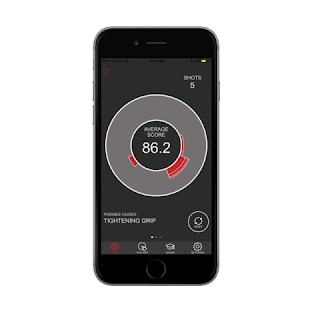 The MantisX is one extremely high tech smart phone powered trainer… yep, for better or worse, every problem and inadvertent movement you make through each shot cycle is beautifully displayed on your Android or iPhone. First it is important to note that the MantisX is not a shot timer nor does it provide that function. I overheard many people at Shot Show mistakenly think it was a shot timer. 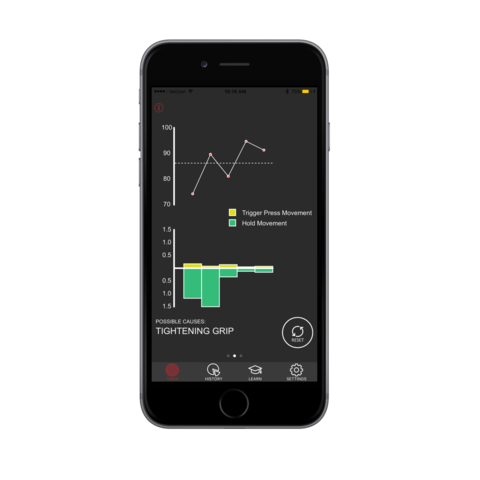 The MantisX is a digital trainer that captures every movement you make before during and after taking a shot then tells you what you might have done wrong and then how to correct it. Imagine having a permanent range instructor that you could use during any live fire, dry-fire, CO2, Simunition, and airsoft pistol or rifle you own regardless if it is fed by bullets or CO2. It is a training partner who is with you at every range session helping you become a better shooter with every shot. Also image that same range partner delivered brutal honest relevant feedback on what you are doing right and wrong without an ego, sigh, snarky comment or glaring look all for a one-time cost of only $149 and is USB rechargeable. That is what the little .75-ounce MantisX trainer is and frankly I love it. Nested into the MantisX is a lot of technology including a highly sensitive digital accelerometer and a digital gyroscope that tracks every cant, wiggle, flinch, and movement throughout each shot. Even if it takes you a few seconds to stabilize before the shot, MantisX sees that also. Direction & Magnitude - MantisX tracks the movement of your handgun's barrel during the trigger pull. Shots are grouped according to movement pattern similarity. If you are Heeling 22% of the shots, Pushing 18% of the shots and Slapping the Trigger the remaining 60% of the mag full of rounds shot it will tell you, but usually we all have many other problems we did not know about that MantisX will capture and show as well. The interface is very graphic heavy which makes it easy to quickly summarize everything that has happened. Shot-by-Shot Analysis - The trainer tracks and scores each shot individually and analyzes trends. Especially for new shooters, there can be a lot of variance in problems from shot to shot. 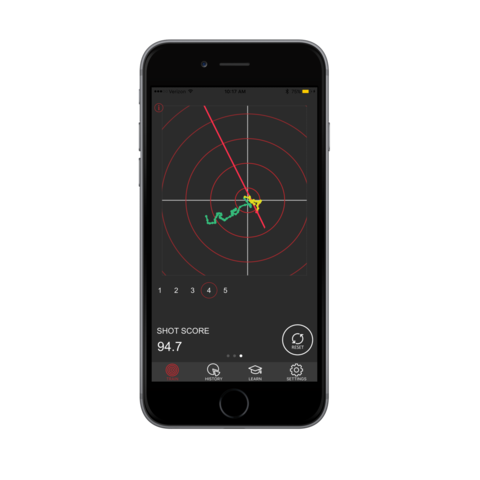 For experienced shooters, we tend to mask a lot of our issues or overcome them in other bad ways… yep MantisX will show you that in a shot-by-shot analysis. Frankly it is a little violating at first and then you heed the feedback and start improving. Detailed Trace of Entire Shot Cycle - MantisX delivers a movement trace/drawing of how you are moving the gun. Green: Hold/sighting pre-shot. Yellow: Trigger pull. Red: Shot breaking and recoil pattern. This was what I thought was most interesting. I seem to be all over the place just before the pull and then I settle the gun milliseconds before the trigger pull. I have never really see this before, but MantisX’s super sensitive digital gadgetry picks that up. 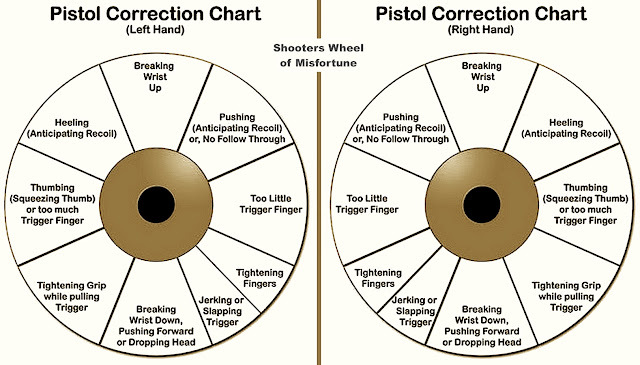 Score - Each shot is scored depending on how much you moved away from your sighted position during the trigger pull. The perfect score is 100 (impossible unless locked in a vice). I placed the MantisX alone on a solid granite counter and tapped on the counter four feet away and it still picked that up in the trace pattern as movement - it is very sensitive. I was excited that I started getting into the high 95%+ range after a month of working with the MantisX. My high was a 98.7%. 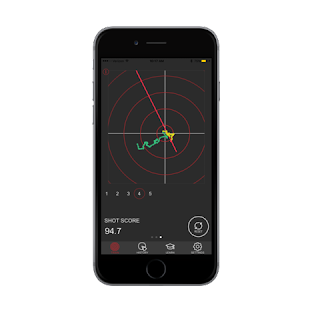 Direction - For each shot, MantisX detects the direction of the barrel movement during the trigger pull. If you tend to shoot left, left sector will light up on the wheel. After a few shots, the training device shows the pattern of your movement. The MantisX is less than an ounce but seems very well made and has held up well for me over the last three months of testing. The trainer comes nicely packaged in a small Pelican case which can take the brunt of the abuse from being thrown into a range bag and has enough room for the small included micro-USB charging cord and instructions. Run time has been good and really have only recharged it three or four times over the last four months, however I did leave it sit unused for about three weeks and did need to recharge it. The MantisX seems to recharge in a couple hours which I felt was fast enough. Setup was super easy on my Android, iPhone and iPad devices. Download the app, hold down the Bluetooth sync button and click Connect on the MantisX App. I had zero issues with connection on any of the devices. Just by turning the unit off and back on I could immediately sync to a difference Android or Apple device. 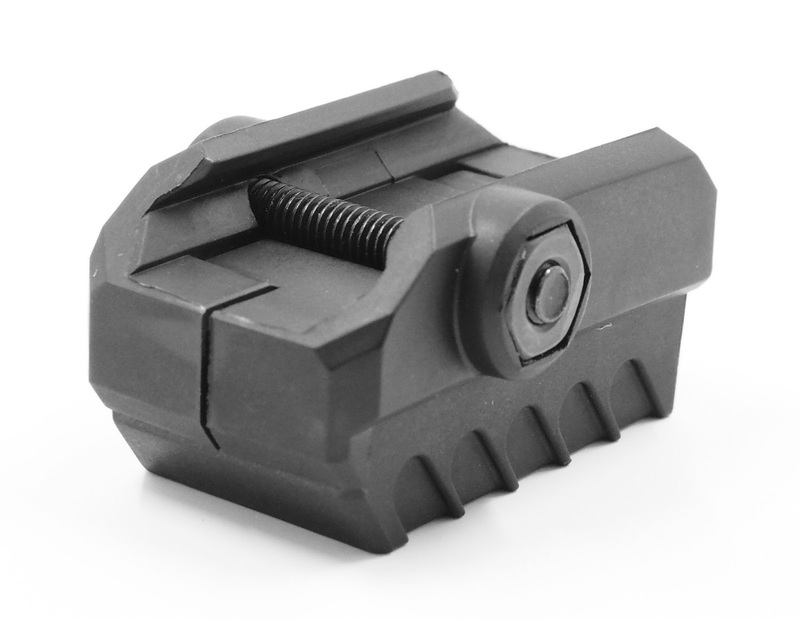 The MantisX has an integrated standard picatinny rail adapter secured to a rail with a simple standard head bolt which fit well on anything from my Glock, HK, Walther, AR15s, Sig MPX, to my airsoft Umarex trainers. There are a lot of gadgets on the market these days and in the firearms industry, I have seen some hit and miss tech enabled products - the MantisX is one device which I believe has significantly improved my shooting. The MantisX works with live fire, but also all the other training tools & methods including dry-fire, laser inserts, CO-2 inserts, and airsoft. 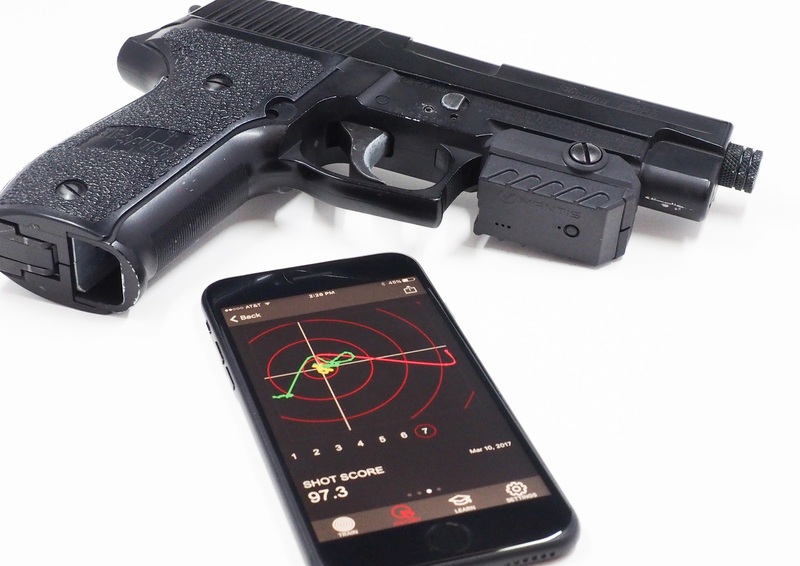 If you simply like firearm gadgets, that may not be enough for you to enjoy using the MantisX. On the other hand, if you are serious about stopping a lot of bad habits, open to having your ego being a little digitally violated during training, and becoming a better shooter fast, then the MantisX is an amazing tool you should consider. 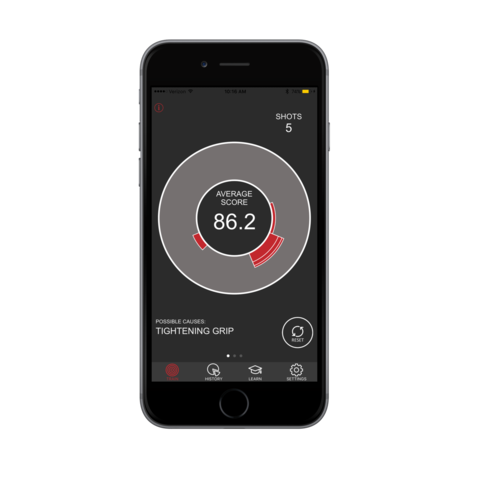 For the new and seasoned shooter, the MantisX is an incredible tool to help decipher what you need to work on and since the smartphone apps are constantly getting updated, we can expect new updates in the future. Every MantisX comes with a 45-day money back guarantee. I've had a MantisX from the start (I preordered it months before final delivery because of what they promised and eventually delivered on). Great tool providing insights you can't get any other way. Initial software was a little limited but the releases in the last year have been spot on in adding all of the functionality I was looking for and even more detail than I thought possible.